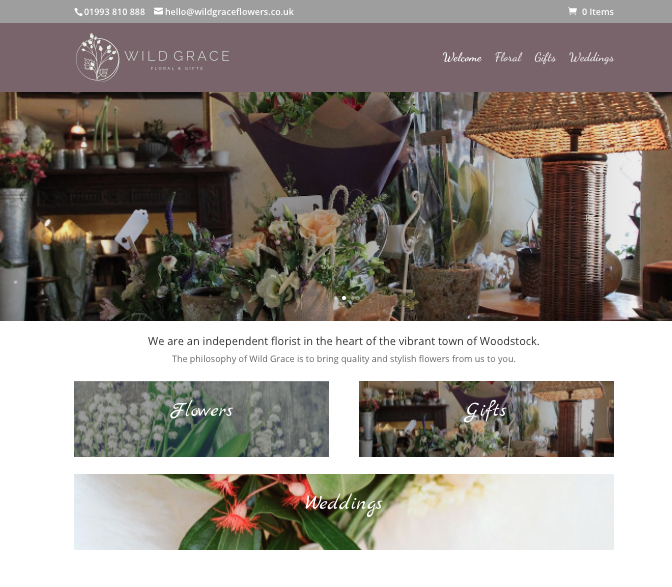 Sinead took over Wild Grace in the early new year, and has hit the ground running. Her beautiful flowers, gifts, and cards are stunning. A stunning website was needed to complement these.